When I first listened to White Lion's song titled "El Salvador", I never expected that one day I'll review an album from a native band. 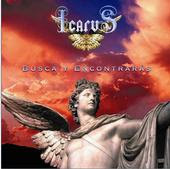 To my big surprise, Icarus come from El Salvador and "Busca y Encontrarás" is their debut demo. The band was formed in 2000 and after 6 years they managed to release their first effort. Judging from the 5 tracks that appear in the demo, I think that the band deserves to be in the public eye. 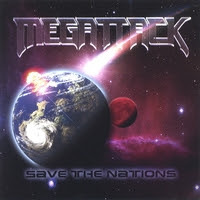 Power Metal with Progressive musical touches is met here, while the guitars and the melodic keyboard parts make the atmosphere bombastic at times. If I got it right, the band seems to have a White Metal destination since 2003 and the lyrics are completely sung in Spanish with Guillermo Esquivel's decent voice keeping the quality of this release. All tracks are pretty much on the same level, but a mentionable moment is definitely the song "Hijo" with the folk-influenced intro and the vocals handled by drummer Samuel Cardona. Icarus are not past masters in the Salvadorian Metal scene, but their debut is mature enough, so I think that pretty soon the band will be offered a record contract! I really wish to have a full length album from them soon! You can get info on how you can obtain their demo by visiting their profile at: http://www.myspace.com/icarus7 and don't forget to send them my greetings! Hola guys!